FAYETTEVILLE, Ark. – No. 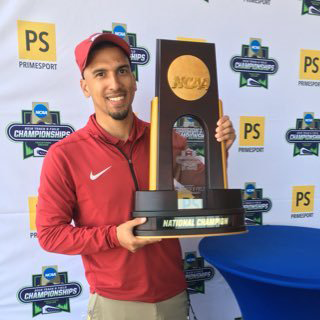 1 Arkansas closed out the Tyson Invitational with sensational marks in multiple events including an exciting finish to the women’s 4×400-meter relay Saturday Afternoon at Randal Tyson Indoor Track. Janeek Brown posted her second personal-best mark of the weekend, competing in the open section of the 200-meters. Following her run in the 60-meter hurdles (7.95) last night – currently, No. 5 in the world this season – the sophomore posted a winning time of time of 23.37 that is currently No. 17 in the NCAA. In the Invitational section of the 200-meters, Payton Chadwick’s 23.15 led the Razorbacks earning her a fifth-place finish. 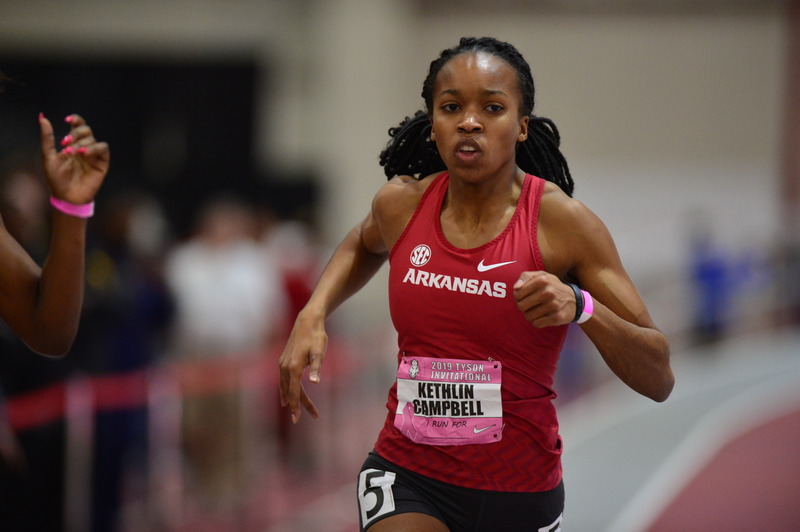 Also competing in the Invitational 200-meters were Kethlin Campbell (23.44 – indoor PR), and Jada Baylark (23.64) who rounded out the event for Arkansas. The Razorbacks returned to the track to post a near season-best in the 4×400-meter relay as Sydney Hammit (54.95), Morgan Burks-Magee (52.13), Payton Chadwick (52.82), and Kethlin Campbell (51.47) teamed up to run 3:31.35. Burks-Magee and Chadwick posted the fastest time on their legs in the race with their respective carries of the baton. Rylee Robinson finished second in the open section of the pole vault with her clearance of 4.13m (13-6.50), while Desiree Freier finished fifth in the Invitational pole vault finishing with a best of 4.23m (13-10.50). J’Alyiea Smith finished second in the women’s high jump, clearing 1.72m (5-7.75) that is a mere 1-inch off her personal-best in the event from earlier this season.